BBC News Online looks at key players in the corruption scandals that have rocked Ariel Sharon's premiership. Prosecutors have recommended charges against the prime minister but he has denied any wrongdoing. The Israeli businessman is known as a political kingmaker and major fund-raiser for Ariel Sharon's Likud party. He was charged in January 2004 with trying to bribe Ariel Sharon, his son Gilad and deputy prime minister Ehud Olmert over building projects in central Israel and on the tiny Greek island of Patroklos. Police telephone intercepts show how high his contacts go. Not only has he been bugged talking to the prime minister, but to the man elected president in 2000 - Moshe Katsav. He protests his innocence and has retained celebrity US lawyer Alan Dershowitz to help fight his case. Ariel Sharon's sons Gilad and Omri have been an important part of his political career, serving as advisers, fund-raisers and secret emissaries. Gilad, the younger of the two, was given a job as a consultant by David Appel on the Greek island project in the 1990s. He had had no previous experience in the tourism industry. Prosecutors suspect that hundreds of thousands of dollars paid to Gilad was a bribe for his father to canvass for the casino project among Greece's political elite. Elder brother Omri - who acted as a go-between with Yasser Arafat in the early days of his father's premiership - is an MP in the Israeli parliament. 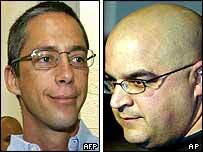 Both he and Gilad were involved in a political funding scandal which raised an outcry in the run-up to the 2002 election. 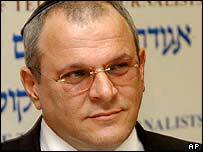 When it emerged that Mr Sharon's campaign for the leadership in 1999 had broken spending rules, Mr Sharon told Omri and Gilad to pay the money back to donors. Omri used the family farm as collateral for a bank loan taken out to pay the donors. But when it was revealed that the ranch in the Negev desert was not owned by the Sharons, they turned to a South African businessman and old friend of the prime minister for help. British-born clothing tycoon Cyril Kern lent $1.5m to his old friend Ariel Sharon to help him out of a funding scandal which was threatening his 2002 general election campaign. Mr Kern, who fought alongside Ariel Sharon in Israel's 1948 war of independence, said he was merely "helping a dear friend", and that he had no business interests in Israel. Mr Kern has not been charged with any offence. The deserted little island where David Appel wanted to build a casino/hotel complex is in an area of outstanding natural beauty. It would have been needed strong political support to overcome strict planning laws, owner Petros Yiatrakos told the London-based Guardian newspaper. "Developing anything in the region has become extremely difficult," Mr Yiatrakos was quoted as saying. "In this case, the project [would have] needed to go before several committees for planning permission in the ministry of environment and public works and then to parliament for approval." Mr Yiatrakos met David Appel on several occasions between 1997 and 1998 as they planned the complex, but the joint venture folded with the death of the Greek businessman's father. Will bribery scandal sink Sharon?